Any ATM card services for DBS Treasures account? Any charges? 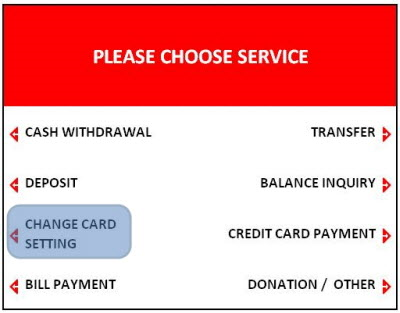 DBS Treasures customers can apply for a DBS Treasures Octopus ATM card with Automatic Add Value Service (“AAVS”) or a general DBS Treasures ATM card free of charge*. *This charge is subject to change. If you have any queries concerning the fees and charges, please contact our branch staff or visit our website at www.dbs.com.hk. For details of other services charges, please refer to our Bank Charges Schedule. ATM card will be mailed to your registered address within 7 working days after application at a branch. What are the features of DBS Treasures Octopus ATM card? Octopus Automatic Add Value Service (“AAVS”) is ready for you - The AAVS has been pre-activated for you. You can enjoy the AAVS by simply acknowledging the new card. Two reload amount to fit your needs - You can choose to reload either HK$500 or HK$250 per AAVS. Whenever your remaining value reaches zero or negative balance, your selected reload amount will be reloaded on your card (AAVS reload once per day) *. Octopus Online Payment - You can make online payment with Near Field Communication (NFC)-enabled Android mobile devices or iOS mobile devices paired up with Octopus Mobile Reader conveniently and easily with just "one-tap" anytime anywhere #. Offer you an easy, convenient, fast and secure online shopping experience. One card does it all! - You can also enjoy shopping convenience with payment through EPS and China UnionPay’s merchant point-of-sale terminals. * If the account balance is insufficient, overdraft maybe resulted in the HKD current account. Any overdraft (including any overdrawn amount which exceeds the pre-agreed overdraft limit) shall be subject to the provisions of the Bank Accounts and Services Terms and Conditions (including but not limited to the payment of overdraft interest and other charges), and customers’ rights and obligations shall be determined accordingly. # The Service is available at the specific merchants' mobile apps only, please visit www.octopus.com.hk for details. Some merchants may charge service fees or administration fees for their online shopping services. 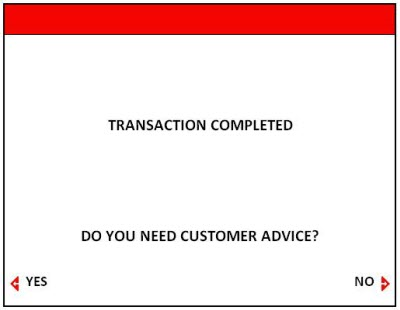 Before confirming your payment, please refer to the relevant information provided by the merchants. How to activate ATM card? 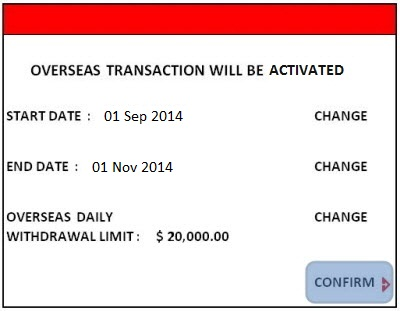 How to activate overseas ATM transaction function? DBS iBanking. 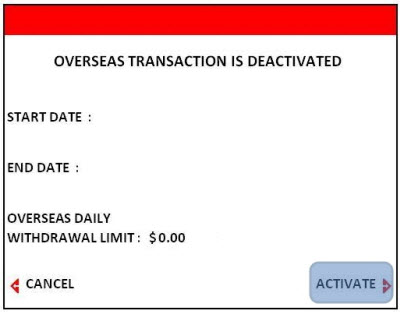 For service activation, you can visit [Preferences] > [Manage Overseas ATM Transaction Settings] to set the activation period and adjust the overseas daily withdrawal limit. 2. 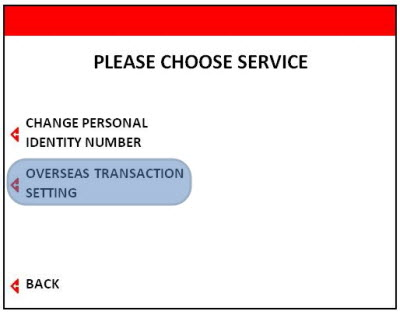 Select “OVERSEAS TRANSACTION SETTING"
3. Select “ACTIVATE” to start inputting the “START DATE”, “END DATE”, and “OVERSEAS DAILY WITHDRAWAL LIMIT"
For enquiries, please contact our DBS Treasures Customer Service Hotline at 2961 2338, or visit any of our branches. How to register for DBS iBanking / DBS digibank? What promotions is DBS Treasures now offering?